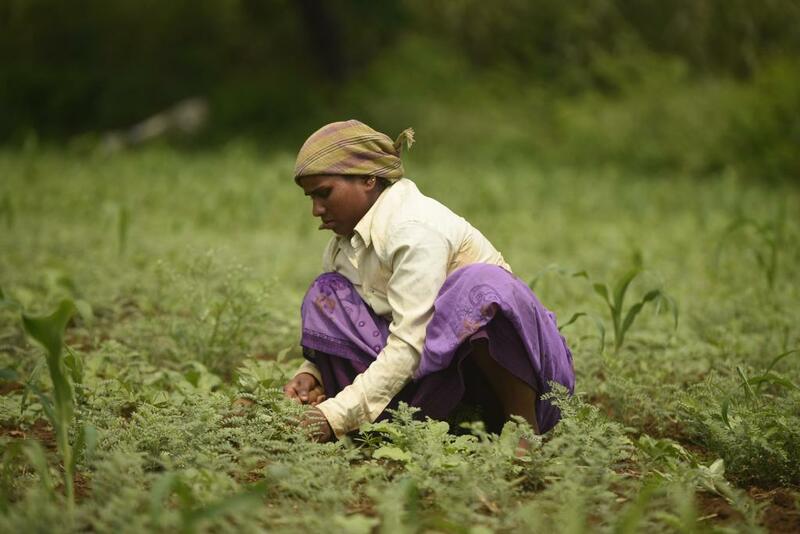 Just how difficult is monsoon prediction for agriculture? It often happens that farmers sow seeds after listening to weather forecasts, but it turns out to be all wrong. This is mainly true of those, who rely on rain-fed agriculture. When this happens, articles follow immediately about the snail-paced improvements made in weather forecast models. I can highlight a couple of points that underscore the monumental challenge of forecasting the monsoon beyond a few days. In the tropics, weather systems are convective, so warming and atmospheric instability build up with great speed and rainstorms can form within hours, if not minutes. They also occur at very small spatial scales—it could be raining in one village, but not in the next, or it could be pouring cats and dogs in one part of Bengaluru, but another part may witness no rains. It is like a popcorn kettle being heated, and even though the temperatures are uniform, corn kernels pop randomly here and there in the small pot. In the mid-latitudes, the European Center can boast of a highly accurate weather forecast reaching out to day seven because their large-scale weather systems are of a 1,000 km and rumble along for around 10 days. 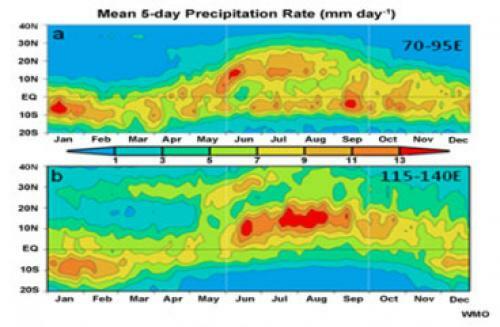 There are large-scale rain patterns in the monsoon and we call them active and break periods. From the entire northwest to southeast India, the country can be covered with a monsoon spell. Northeast and peninsular India, western and eastern coastal regions of the country can be dry while the core monsoon zone remains active. It is this timescale of these wet and dry spells that the farmers care about the most. Monsoon scientists and forecasters would like to understand and predict them better. But the processes that determine these active and break spells are not fully understood yet. Local soil moisture, irrigation as well as the faraway tropical Indian, Atlantic and Pacific Oceans affect these spells. The Inter-Tropical Convergence Zone (ITCZ) is the region of maximum solar heating. Hence, maximum rainfall extends across the globe and tends to follow the sun into the summer hemisphere. But it has a split personality over the Indian Ocean unlike over the other tropical oceans (see the WMO image). Moisture-laden depressions propagate northeastward from the deep tropical Indian Ocean at 30-60 day timescales while cyclonic systems coming in from as far as the northwestern Pacific Ocean at 10-20 day timescales. The process by which rainfall is squeezed out of these moist depressions depends on local conditions—agricultural, forest, urban and so on. We have to understand all these local idiosyncrasies not only in terms of their local physics, but also by pouring through the vast amounts of data—data that don’t yet exist in sufficient spatial and temporal scales to facilitate their understanding and prediction. As if all these are not enough of a challenge, the Indian Ocean is also like a hot bathtub. Look at the nice figure by my friend Roxy Mathew Koll (http://www.climate.rocksea.org/), which shows the typical sea surface temperature (SST) distribution over the Indian Ocean. Since the atmosphere tends to convect when the SSTs are warmer than about 27o Celsius, the high mean SSTs over the Indian Ocean need only change by as little as half a degree or less to suppress or fire-up convection. And what happens in the Indian Ocean affects the monsoon directly through winds, waves, ITCZ and moisture supply. Weather and monsoon forecast over India is thus not just a local business. The model has to worry about what is happening on daily timescales in the Indian Ocean as well as the Atlantic and Pacific Oceans. This means having accurate data of the oceans is also critical. Needless to say that we are not even remotely close to having sufficient data for the oceans to accurately forecast weather and monsoon in India. We need to know the SST variability within a range of 0.5o Celsius, a very tall order for any model especially with the low-grid resolution of most state-of-the-art models. Even more importantly, having a coupled ocean-atmosphere model for weather prediction will be inevitable since the chatter between the ocean and the atmosphere determines these SST changes and the atmospheric response to these tiny changes that are hard to measure and predict. Tremendous progress has been made in India in the past decade on weather and climate forecasting. For example, the Mumbai floods of August 2017 were predicted nearly a week ahead. With all the modeling and observational efforts under the aegis of the Ministry of Earth Sciences, better days are surely ahead for monsoon forecasting at timescales farmers really need. But we shouldn’t underestimate the magnitude of the challenge faced by hardworking scientists. To over come the unpredictable nature of rainfall, follow the system of monitoring using soil-climate crop system under rainfed agriculture at local and regional scales. This provides mid-season corrections [not under mono-crop based high input agriculture] under cropping system as the rainfall is highly variable.